When you're traveling abroad, bringing along some comforts from home are a must. And we're not talking about the baby blankie we still sleep with (that too, though)-we're talking about our favorite TV shows. Get access to geo-restricted content with a lifetime subscription to Getflix for $69. Rather than using a regular VPN to access geo-restricted streaming services, which can lead to slowed-down traffic, Getflix only reroutes the traffic needed through a different server, giving you access to your favorite shows without lag time. Listen to online radio, connect to your Netflix, Hulu, and HBO accounts to watch movies, TV, and sports, and more. Getflix unblocks more than 100 streaming channels on an unlimited number of devices. Bring your favorite shows with you when you travel. 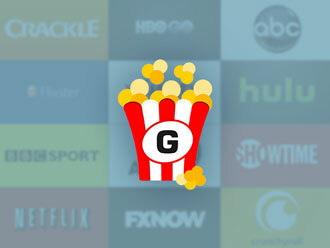 Get a lifetime subscription to Getflix for $69 at Escapist Deals.